Bruce Eatroff has over thirty years of private equity, private credit, fund investing, investment banking and operational experience through various senior roles including at Goldman Sachs, UBS, CIBC and BMO Capital Markets. In 2000, Mr. Eatroff founded Halyard Capital, raising over $600 million, a U.S. lower middle-market private equity fund manager with sophisticated institutional investors including Goldman Sachs, Abbott Capital and Bank of Montreal. Mr. Eatroff has a broad spectrum of private equity investing experience across technology enabled services industries including Human Capital Management, Digital and Direct Marketing and IT/Cybersecurity Services. He has in the past represented and currently represents Halyard on the board of directors of over a dozen portfolio companies. Mr. Eatroff has also overseen and helped integrate more than 40 add-on acquisitions for portfolio companies. 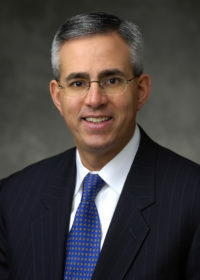 Mr. Eatroff started his career as an investment banker at Lehman Brothers in 1985. After business school, he then spent six years ending as a Vice President in investment banking and principal investing at Goldman Sachs. Mr. Eatroff then became a Managing Director at UBS, CIBC and later BMO Capital Markets where he was also US Head of Media & Communications Investment & Corporate Banking. At Goldman Sachs, UBS, CIBC and BMO, Mr. Eatroff was on the principal / merchant banking investment teams making private equity investments, private credit investments and fund investments, in addition to investment banking activities. Mr. Eatroff is a recognized thought leader in the alternative asset management industry having spoken at over 100 industry conferences. He is the Co-President of the Wharton Private Equity & Venture Capital Association and the former Chairman of the Lafayette College Leadership Council (2011 – 2015). Mr. Eatroff received an MBA from The Wharton School at the University of Pennsylvania and a BA with honors from Lafayette College. Mr. Eatroff has strong relationships with Star Mountain as a personal investor in Star Mountain funds and in evaluating and consummating investments between Halyard and Star Mountain. As an aligned Senior Advisor, Mr. Eatroff assists Star Mountain Capital with strategic advice, thought leadership and insights to help the firm and its portfolio investments maximize value.